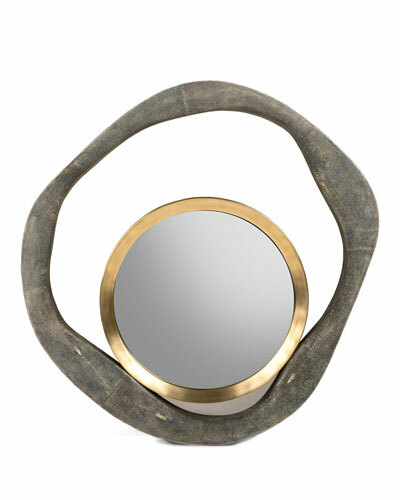 Add light and depth to your home with decorative wall mirrors from Neiman Marcus. 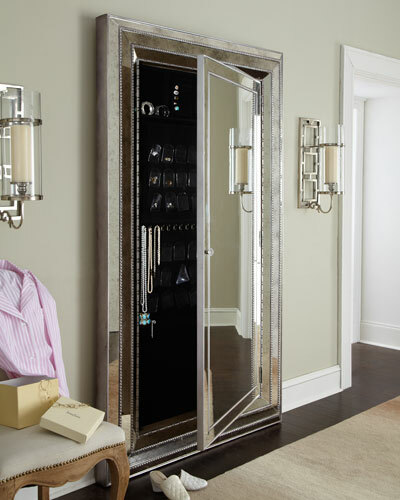 Available in many shapes and colors, our designer mirrors and accessories will revamp your space. 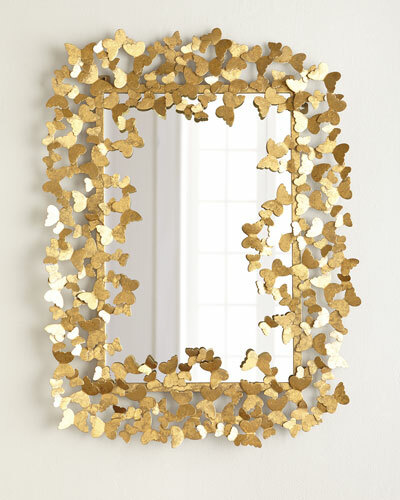 Incorporate them in your living room or bedroom décor to create a stunning visual impact. 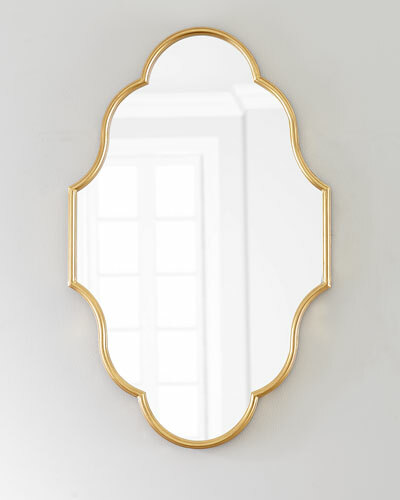 Blending the best of classic and modern, our gold and white mirrors are hand carved with great detailing. These decorative accessories are sure to give a touch of sophistication and luxury to your home interiors. 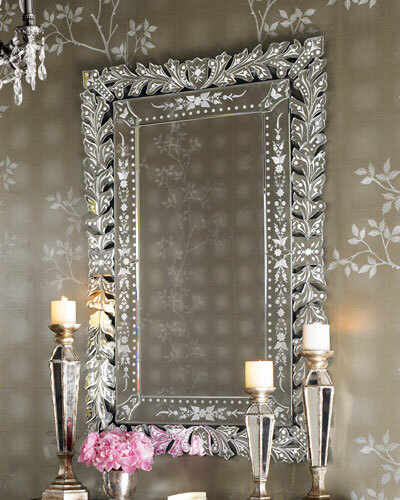 Some of our wall mirrors feature intricate hand-cut glass work and ornate engravings. 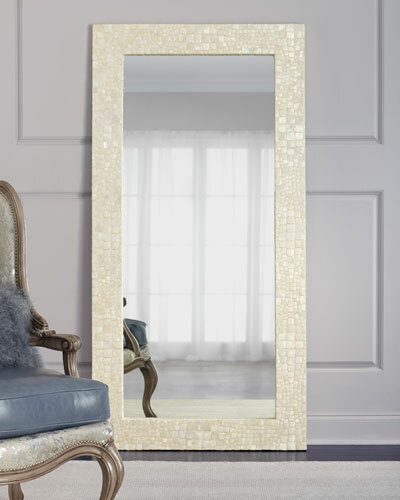 Make your rooms look larger with our oversized floor mirrors. 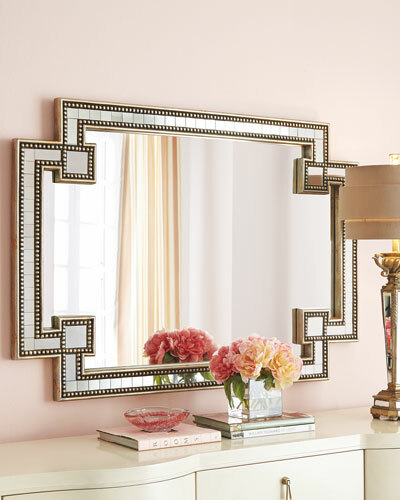 Shop Neiman Marcus for decorative wall mirrors and add to the overall aesthetics of your home décor. Mirror framed in poplar solids and engineered faux anigre veneer wood with Linear Gray finish Mirrored glass with 1" bevel. Mirror framed in poplar solids and engineered faux anigre veneer wood with Linear Gray finish Mirrored glass with 1" bevel. Can be hung vertically or horizontally. Mortise and tenon construction. 36"W x 1.5"D x 52"T. Imported. Boxed weight, approximately 65 lbs. 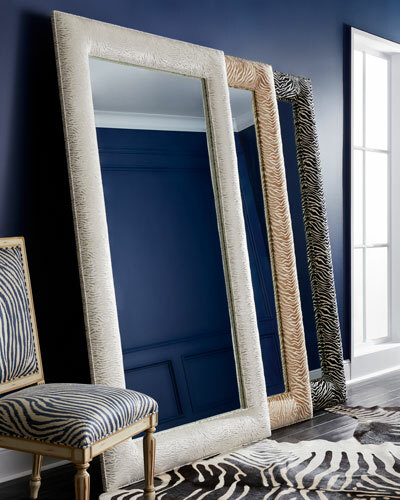 EXCLUSIVELY AT NEIMAN MARCUS Beveled mirror with floral printed frame. Can be hung vertically and horizontally. Hanging hardware included. Wood composite. Overall, 30"W x 1.2"D x 40"T. Inner dimensions, 19.5"W x .4"D x 29.5"T. Imported. Weight, 41 lbs. Boxed weight, approximately 45.3 lbs. 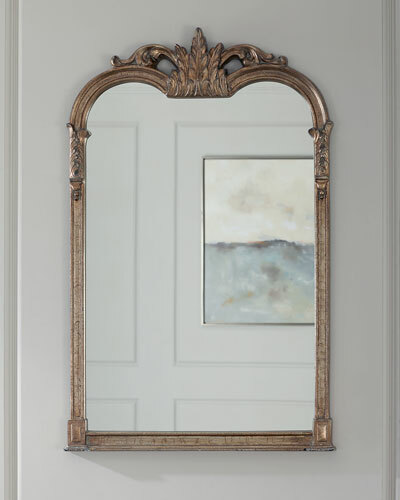 Handcrafted mirror with brass trim border. 31.5"W x 1"D x 39.3"T. Wood composite back. Hangs on a standard cleat system, included. Can be hung vertically of horizontally. Imported. Weight, 27 lbs. Boxed weight, approximately 40 lbs. 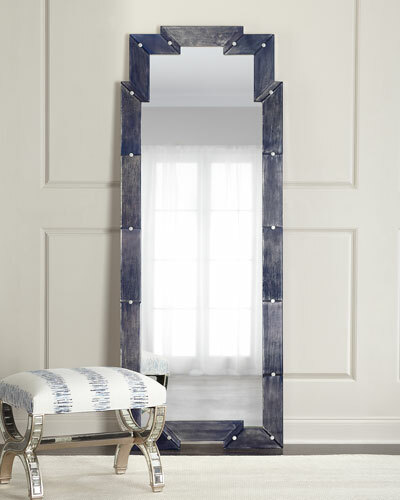 EXCLUSIVELY AT NEIMAN MARCUS Beveled mirror with Greek Key border. 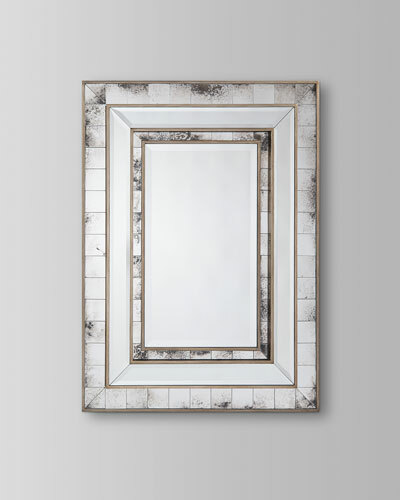 All mirror pieces are beveled, contrast color is charcoal gray.